Congratulations to Jessica L for winning this giveaway! It is now CLOSED, but please visit Solly Baby for more! One of our favorite things about the blog world is the ability to share favorite things, best practices, and little tips and tricks mothers use. There are a million ways to do just about anything when it comes to parenting, but sometimes it’s nice to hear what’s working for everyone else. We have our own list of favorites and we are excited to share them with you! We hope you will love the features as much as we do. We are huge fans of Solly Baby wraps, and the owner/designer, Elle. Baby wearing is comfortable, warm and safe for the baby, and all about convenience and closeness for the parent, and with the multiple point support, you can comfortably wear it for hours. Some might look at it and think it’s too complex, but after a few tries it truly becomes second nature. Elle timed herself once and had it down in eleven seconds! All three of us have used Solly Baby wraps, and especially after having that second baby it becomes a real life saver! Because we love Solly Baby so much, we teamed up with Elle to giveaway a wrap of your choice to a lucky reader! The colors and patterns are so amazing, we’re sure it will be hard to choose just one. 1. Visit the Solly Baby shop and tell us in a comment which one you’d pick. 2. Like Small Fry Blog and Solly Baby on Facebook. 3. Link us in a new blog, Facebook post, or tweet. 4. Instagram a motherhood related picture of your choice and tag @smallfryblog. If you know someone who would love it, you can enter on their behalf as well. What a great wrap! I love the grey and natural strip/organic cotton! Thank you small fry! PS love this blog! I love the grey and natural stripe one made out of organic cotton. I can also see using the titanium grey bamboo. I’ve also liked both on Facebook! Id love the grey and natural stripe wrap! Due with #2 in March! I’ve been wanting one of these gorgeous wraps and if I were to win the giveaway I would love the grey and natural stripes! I like the gray and natural stripes! i am in my 5th month of pregnancy and would love to have one of these! they are stylish and look so cozy. going to share on facebook and twitter now! I love these. I would go for the stripes but they are all fabulous!! I liked both. This blog is so great. I look forward to it in my reader! I love your blog and am madly in love with these wraps! I’m having my 3rd son next month and would nothing more than to snuggle him wearing this wrap. My favorite is the grey & natural stripe. I also liked both pages on FB! I would love the seafoam or the grey and natural. I have wanted one of these for the longest time. Hopefully I can win one and use it on my last lil bundle…whenever that is. 😉 I will also link you guys on FB and love both fb pages! I’d love the grey & natural stripe or seafoam! I “like” both pages on Facebook. I linked this give away to my FB page too! I would be happy with any of them…with baby number three just a few months away I’ve been trying to dream up a way to grow a third arm. 🙂 This would be perfect! Oh I need this! Love the grey and natural stripe wrap, so cute and looks incredibly comfy! I would pick the grey an natural stripe! Love Love! I love these! So cute and look so comfy for both mom and baby! I would go for the grey or pink as we are expecting our third girl!! i would pick the grey and natural stripe! i also saw mustard yellow on instagram but they aren’t in the shop. love these! I would definitely pick the stripe, I love that it is unisex & also looks great with anything. Exciting! I would love the grey and natural stripe…it goes with everything! i tweeted and shared this on facebook! and liked all pages too. hope i win! That video is totally cute! Sunny is a babe! Like everyone else I would pick the gray stripe, but I would take any color actually! I love your blog! I like the seafoam green and the grey wrap! I also like both of you on Facebook! And posted a picture on instagram! Thanks! I tagged you in a FB post. have been lusting after one of these with baby #3 on the way. would love the grey & natural stripe. I’d love the seafoam wrap to use with baby #2 due around Thanksgiving! I liked Solly Baby and Small Fry blog on FB! Titanium Gray for my brand new baby boy who wants to be held all the time. Please help me get my hands free! Thank you! I LOVE the stripes. I have a baby boy arriving in six weeks and it it would be a HUGE help! Crossing my fingers! Yay! This blog is awesome! You’re all superwomen for sure! I have been eyeing the Solly Baby wrap for awhile now, with my third just six-weeks-old, I’m juggling. It would be wonderful to have & I’d love it in the grey & natural stripe. Super excited for the giveaway. Fingers-crossed. Ps – Following both blogs on FB & shared a post! Absolutely love/want/need the striped one!! Tweeted about the blog!! Just discovered your blog a few days ago and I’m in love! These wraps look similar to my Moby that went missing after my first outgrew it. I would love to have one for my second! The Gray/White stripe or the Gray are just awesome! i want the striped one! don’t let me win this. ima have to get to some baby makin’…. I have wanted the stripe one forever! PS Jane looks pretty damn cute in those bottom two pictures. I like you guys and solly baby (in real life and on fb) always and forever. The gray and natural stripe! I’d used a wrap with my son and loved it, so I’d love to win one for my friend – the gray and natural stripe would be perfect for her! I love these! I would choose the seafoam green wrap-perfect for my little right now and my littles in the future. I want this for my sister in law.. I think she would probably like the striped gray & white one. So darling. I love that Elle Rowley. Just updated my facebook status and tweeted about the giveaway, too! the titanium gray is great for mama or papa! …and an instagram too. This third entry was because i actually want to win a wrap. thanks! Loooooove all the colors! I’m gonna say its a toss-up between the stripes and the Olympian blue! Love this blog design by the way, so clean and pretty. I love the seafoam green and the gray and white striped! So hard to choose between the two! The grey and natural stripe looks so chic and versatile. I would love to have it for my little Lionel. Like both of you on FB! I also tagged you on Instagram! I love the gray and natural stripe! I like SmallFry on Facebook and I like Solly Baby on facebook as well. I just tweeted about the giveaway with a link to this post! Shared a post on FB about the giveaway! I would love to win the seafoam green one! Perfect for either a boy or girl. 🙂 I also liked small fry and solly baby on fb! I’ve had my eye on the grey & natural striped wrap, but I am loving that picture of the olympian blue wrap… so I’m not sure which I would choose. and just liked both of you on fb. and just linked to twitter. they are all lovely! i especially like the titanium gray since it’s gender neutral. Love the striped one. Our baby boy is coming this month! I also linked up on facebook! I’ve been wanting one of these gorgeous wrap! If I win I would choose the white and silver striped wrap! I also liked both sites on Facebook. I love this! I love the titanium grey! It will look great with everything! Love the sea foam one or the gray one! Liked both pages on facebook and shared the link on on Facebook. also instagramed a photo! Tagged Small Fry in an instagram! lovelovelove the grey & natural striped wrap! awwww. i would pick the striped one and give it to my little sister that’s expecting her second baby girl in january. she would love it! the grey and white stripe! “loved” you guys on facebook. seriously, so beautifully executed. Love this! Love the titanium grey! Loving the gray and natural stripe wrap! annnnd i tweeted! thank you! wait. one more… i instagrammed too. i love the grey and natural stripe! I love the grey and natural strip/organic cotton! And I Instagram tagged you! I’d love the grey & natural stripe! It is just so pretty and classic. Grey & natural stripe! Darling. I am getting ready to have my 3rd boy! I need my hands free! I would love the blue one! Love the blog! I’m expecting my second in march and think this wrap would be very helpful to have!! I would go with the grey or green- too hard to choose! i love the grey and natural stripe! i’ve been eyeing this wrap for a while. great giveaway! i just liked small fry and solly on fb! my sister is due in february and she would love a stripe solly wrap! I also instagrammed. I never enter giveaways… Until now! I’ve been coveting one of these forever for my baby due next month! I love the grey and natural stripe! I liked both pages on fb! I love this wrap… I would love to carry my baby boy around in the gray & white striped wrap. How lovely! I’ve admired Solly Baby wraps for months. I’d choose the organic striped wrap for sure. Thanks Small Fry! I have always wanted one of these! And I’m so boring and would probably go with grey! My favorite is the grey and natural stripe/organic cotton. Love it! I would love the grey striped one. I’m due this spring and it would be awesome for baby #2! i like solly and small fry on facebook! grey and natural stripe -LOVE IT! liked on facebook! these are so darling. I would love the grey and natural striped one, thanks for a great giveaway! I would choose between the stripes and seafoam, can’t decide! I ‘liked’ both facebook pages! I would love love the grey and natural stripe one! They are all beautiful colours! linked a comment on fb! i love the grey wrap! I’d pick the grey and natural stripe- it’s just perfect! I Liked Small Fry Blog and Solly Baby on Facebook. I am currently expecting my second baby in November and would love to own one of these wraps! My current favorite is the grey and natural stripe! Love! I liked Small Fry Blog and Solly Baby on Facebook! 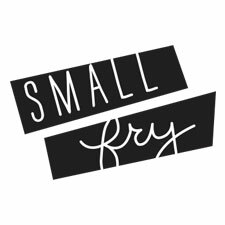 I liked the small fry blog on facebook! I liked solly baby on facebook! I love the stripped one, it has been on my Pinterest “Wish List” for awhile, and the new little man is making an appearance next month, so this would be perfect! As a gift for my sister, who is expecting twin boys, I’d pick the gray! I just liked your blog on Facebook, too. That video is so dreamy. I love it. I would love love love a Solly wrap!!! My fave is the stripe. Liked solly baby and small fry on face book! an oh-so lovely titanium wrap…would be my pick! Grey and natural striped organic cotton. Please pick me. Any of your wraps would be awesome! the lovely grey and natural stripe wrap would be my pick! thanks for the great giveaway! I love wearing my baby in a carrier. We have the ergo and it’s great. It would be nice to have something more soft, light, and airy. I would pick the grey and natural stripe. Pink coral bamboo is my fave! Liked Small Fry Blog and Solly Baby on Facebook. Love these! I’d pick the grey natural stripe wrap. So on my list for this January baby! Liked on Facebook fan #501!! Congrats! O wow!!! I like the grey, seafoam and the organic stripe…so I guess any of the 3 I’d be so thrilled with! I liked you both of fb. Thanks!!! Seafoam green, it’s the new gender neutral yellow. I like it on facebook too! liked on fb for both small fry, and solly! that sea foam green wrap makes my heart skip! I would LOVE the gray and natural stripe! would love to use this as a gift for our first grand baby. think the striped one would be best. these are adorable and look so comfy! love the grey striped one the most. I lOVE the titanium gray wrap! Such a neat baby wrap! I like the titanium grey color best! would love to use this as a gift for my sister. think the striped one would be best. I would absolutely love any of the wraps, but my favorite is the titanium gray bamboo! like both of you guys on facebook! would LOVE LOVE the grey and natural stripe! This is not a subtle announcement (as in I won’t need this yet but I want one so bad for when I do need one… I’m trying real hard) but I would love the grey/neutral stripe organic cotton. It’s adorable! I liked Solly Baby AND Small Fry Blog on facebook. Thank you very much! The grey and natural stripe is my favorite! Love it! Have tried a multitude of other wraps with no success. Tried this one at a friend’s and loved it! Would die for the seafoam green one! I love the Titanium Grey Solly Wrap – beautiful! Cool blog. I would choose the seafoam one…when you’re wearing a baby, it’s your outfit! I “liked” Solly Baby on Facebook. I liked the solly baby on facebook! I love the gray and natural stripe!!!! Oh my goodness! These wraps look amazing! I would love the seafoam green number! So darling! Liked you both on Facebook! So happy I found your blog! I love it! I’ve been wishing I had one of these. Especially since I just had my 3rd baby. I am crossing my fingers. I liked solly baby and small frys on Facebook and I’d pick the gray and natural stripe!!!!! I love the seafoam! Baby number 1 is due May 4! I love wraps! I couldn’t possibly choose a color, they are all great! I wrapped with my first son but passed the wrap on and now with a 4 week old I need another! I love those wraps! I wrapped with my first son and then passed it on (not thinking we would be blessed with more kids) to a friend. We now have a 4 week old and are in the market for another wrap! I love all the color options! I couldn’t possibly choose…seafoam and the stripes?! I tagged you on Instagram! i would love to win this for my sister! she would love the grey and white stripe one. i would love to win this for my daughter in law. she would love the grey and white stripe one! Great giveaway! I love the grey and natural stripes wrap…so cute! I would totally pick the grey & natural stripe wrap. I liked Solly Baby & Small Fry on Facebook. I’m such a lover of the grey! I’m about to have a little boy come January, and I’ve been drawn to softer tones! Thanks ladies! i love the natural stripped wrap! i’d love to win this for our latest addition to the family. it’s the first girl we’ve had in a long time! the grey and white stripe is a great one. i would love to win this for our latest grandbaby. the grey and white striped would be perfect! grey or seafoam…..i can’t decide! i love these! i liked you and solly baby on fb! In love with this product! Either the gray and natural stripe, or the solid gray! Liked Solly Baby and Small Fry Blog on Facebook! love the striped one! i would love a wrap for my new baby boy! I kindof love the titanium grey and the seafoam green! I’d love to win one! I LOVE the striped wrap! Too cute! I LOVE the grey and natural striped one! I definitely need one of these with baby #2 on the way! I liked Small Fry and Solly Baby on facebook. would love to win the grey and white striped one! super cute. love solly baby. love that grey and white striped one. so adorable. looks really comfortable for caring baby too. I like the titanium grey bamboo. I love the grey & natural stripe or blue! Absolutely love the seafoam green one! Would be perfect for my little lady arriving next month! I love the grey and natural stripe one- especially love that it’s organic cotton! Must be cozy. oh my how i would love the striped solly baby wrap for my next babe and any additions to follow!! i’ve liked y’all on facebook…via my blog….and talked about small fry on twitter too, not to mention i think my friends are getting a little sick of my referencing this haven of a space whenever i talk about all cute kid things as of late. anywho!! love what you girls are doing/have done/will no doubt continue to do!! hey girls!…did you announce the winner…??? We did, it was a girl named Jessica and she has claimed the prize. It was announced in October 11th’s post but I’ll udpate the actual post! Thanks!